​Clients often ask me, ‘How can I avoid bingeing when the urge to reach for food feels so incredibly strong?’ It can seem like a driving force that cannot be ignored and rationalised away. Like an itch that needs to be scratched. A desire or want that can only be satisfied fully through food alone. And it is all you can think about. Conversations with others blur gently into the background; work becomes a mindless irritation and your surroundings become irrelevant. Nothing - nothing at all, is as important as the pursuit of food. I think that sometimes when you reach this point, you have already mentally made the decision to binge and it is infinitely harder to make the U-turn and withdraw. This is not the time when rational thought or reasoned logic generally wins the day. More helpfully, it is useful to retrace your steps and recognise the triggers that might have contributed to this need to binge. Why? Because, I believe that binges do not come out of the blue. They might appear to do so, and you may feel very confused about your behaviour. However, if you look a little below the surface and start to consider possible triggers and situations that may have cumulatively led you to this point, you begin to gain some clarity. You might be following a set of rules rather than listening to what your body wants to eat; for example ‘I shouldn’t eat at this time; no carbs allowed; X number of calories per day). Deprivation only works for so long before your body comes back fighting. Your poor body does not want to be hungry or feeling restricted or restrained. Just as our ancestors would have feasted after the famine, your instinct after depriving yourself will be to eat and eat and compensate for the previous lack. 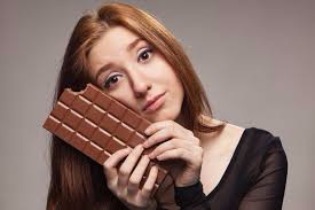 Now even if you feel that in reality you are not depriving yourself (‘well actually, I’m eating all this cake and chocolate everyday’); unless you genuinely permitthese foods into your life, then you are always going to attach guilt, enticement, naughtiness, rebellion and secret eating to these foods. Instead, once you allow every single food back into your eating choices, then the paradox is that you will probably eat a lot less of these foods long-term. Why would you need to binge on cakes if you allow yourself to sit down and enjoy that delicious slice of your favourite dessert - eating mindfully, and tasting and savouring every single bite? Maybe your expectations are incredibly high. You might be a perfectionist, you might feel quite guilty if you sit down and relax. Take a break and have a nice cup of tea. As human beings, for mental well-being, we need breaks, relaxation, pleasure and fun dispersed between the jobs and obligations. When you don’t allow these necessaries into your life, then you are going to feel tired, possibly bored and bit jaded with your work. You might be short of energy, feeling a bit down and then tempted to perk yourself up with food. Make sure you inject enough pleasure and relaxation into your life! Maybe you feel that you are sensitive and that things affect you deeply. Joyful news can be as overwhelming sometimes as dealing with life’s little knocks, setbacks and problems. You feel that your head is exploding and that your thoughts are racing a hundred miles an hour. You want some escape and relief from this turmoil. Food, just food, is all you can think about. Food can be an effective distraction and a way of dissociating from your feelings for a temporary period, allowing you relief and comfort. These feelings do not go away though; this is when you might need some support in understanding and processing them through. You might be obsessively weighing yourself; body checking and looking in the mirror or labelling yourself unkindly, along with a good dose of comparisons with your friends or celebrities on Instagram. This can be a recipe for feeling dissatisfied and anxious. You are then likely to express your unease through food; either by bingeing or bringing in rules and clamping down rigidly on your eating. This may work for a little bit until you feel deprived again, and fall back into the binge cycle. Think about how you treat your body through words, thoughts and actions and this may help you to be more encouraging without turning to food. You think ‘why not just make myself feel even worse? What’s the point? Who cares? I’m not worth it.’ You may have been doing much better with your relationship with food, but now you feel like sabotaging it all. If this is a recurring problem for you, then you might need some support in unpicking this further and making sense of it. Possibly, these feelings are deep-rooted and were initially experienced in a setting completely unrelated to food. They may be more about how you feel inside, being connected to your feelings of self-worth. If you find yourself bingeing on a regular basis and are feeling out of control around food - if it is starting to affect your relationships, your work and your social life - you may wish to think about seeking some support with this through therapy.